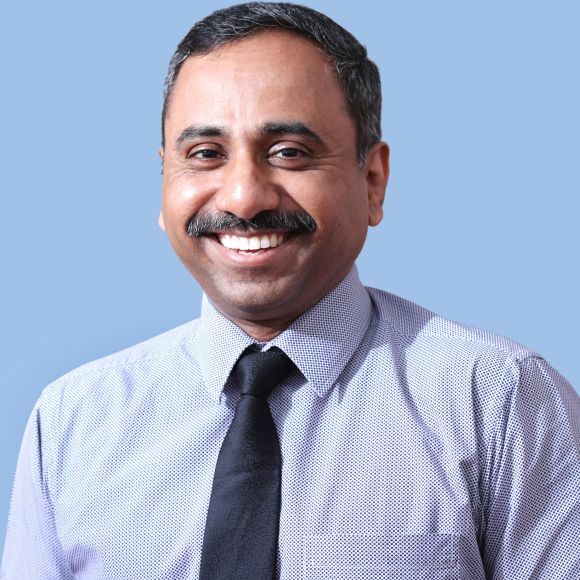 Dr. Ashok Kumar Pillai is a reputed Obstetrician and Gynaecologist with fourteen years’ experience in managing high risk pregnancies and various gynaecological conditions. He has been actively involved in management of critically ill patients at various Armed Forces hospitals, including Obstetrician -in-charge labour room at INHS Asvini, Mumbai (May12– till date). Having kept abreast with latest advances in medicine by regularly participating in conferences &workshops he has also been instrumental in starting Onco surgeries and imparting regular training to doctors, nurses, and paramedic staff in labour room. Assistant Professor in Obstetrics and Gynaecology from Maharashtra University of Health Sciences [MUHS] WEF May 2012 till date. Have a total of four years teaching experience.